Today we are pleased to premiere ‘I’m Yours’ the 4th track from Jacko Hooper’s new EP release ‘Together We’re Lost’ out tomorrow 23rd November. 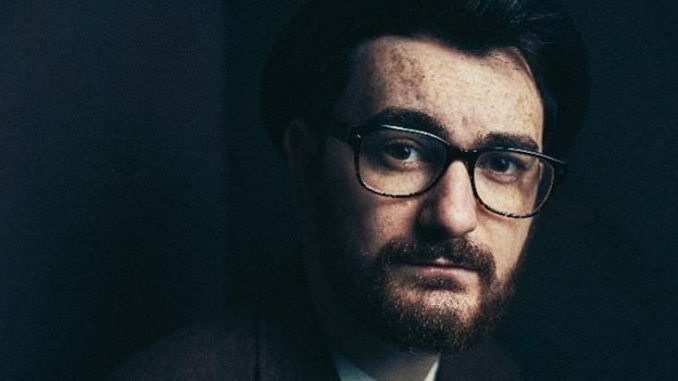 Together We’re Lost is the third EP release from Brighton singer-songwriter Jacko Hooper. Following a year of writing and taking a step back from performing live, Jacko returns with an EP written and recorded from his bedroom with the help from lifelong friend and Producer, Josh Trinnaman (Whose mixing credits include Noel Gallagher’s High Flying Birds, RY X and his own Brighton-based IDM/Jazz/Electronic outfit Luo). With a limited edition run of CDRs being made available via Jacko’s boutique record label and promotions company Folklore Sessions, there will, as always with Hooper’s releases be an opportunity to not just stream the record digitally but get something much more personal which his devoted army of followers will enjoy once again. Recorded off the back of Folklore Vol.1, a 4-track EP released with fellow musicians and friends Bess Atwell, George Ogilvie & Oktoba, Together We’re Lost tells a story of personifying emotions and situations that Jacko has found himself in, especially over the last year. A constant inner dialogue between his fears, anxieties and ‘logical thinking’ soon turned into words and melody that found themselves needing to be expressed, sticking with what Hooper is most well known for – true emotion and honesty. Essentially, the record covers two primary topics, loneliness and frustration. As ever Jacko’s own brutally honest experiences form the forward drive throughout, however, the true purpose of his music isn’t ever his own story but the new ones created from it. “I don’t feel that the original story of why I wrote the song is necessarily the most important thing, I think the fact people can listen to it and all of a sudden it becomes a different story with a totally different meaning is the best thing of all, to be able to connect to it people need it to be their story, not mine”, Says Jacko. With Together We’re Lost showcasing true emotion and honesty, Jacko Hopes that more stories are created for his very own.